It is a continuous quest of a blogger to discover hidden pieces of ornate stones scattered around various cities, and these are what foodies call as "Hole in the Wall" restaurants. However, the beauty of being a blogger and at the same time being a normal person expanding his network of friends, is that sometimes you won't be the one searching for them. Instead, people recommend one for you, and if you get lucky (like I did), friends will invite you to try out a Hole in the Wall restaurant of their own. And this was exactly how I met your mother got to check out Bestys Restaurant, specifically through a guy named Kirk Amante, one of the owners. 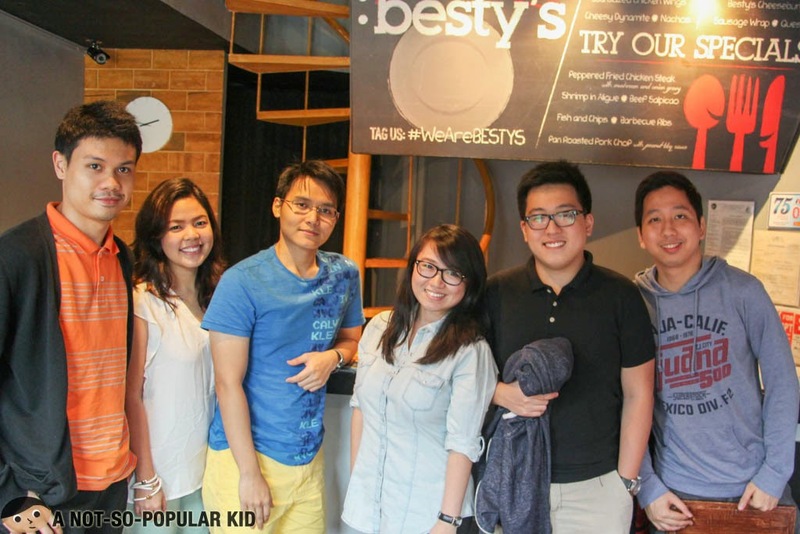 Having a seating capacity of 30 people, Besty's Restaurant is an amazing food place built out of friendship. In fact, the name itself is from the word "best friends" turned into "besties" and eventually to "Besty's". You'll be amazed as well that the head chef is one of those best friends; hence, we can be sure that he's pouring his heart out in preparing the food. 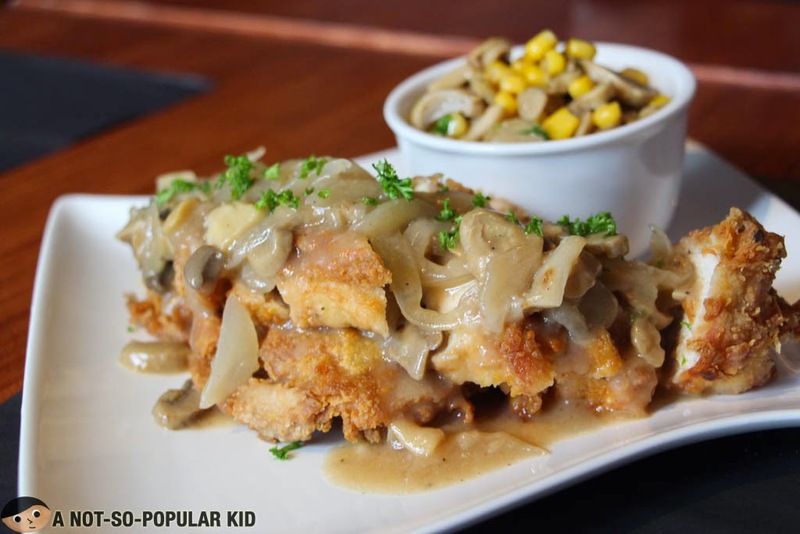 Quoting from Kirk Amante, "All the dishes are based on our own recipe and favorites, which are heavily inspired by American-Spanish cuisine that is both delicious yet affordable." 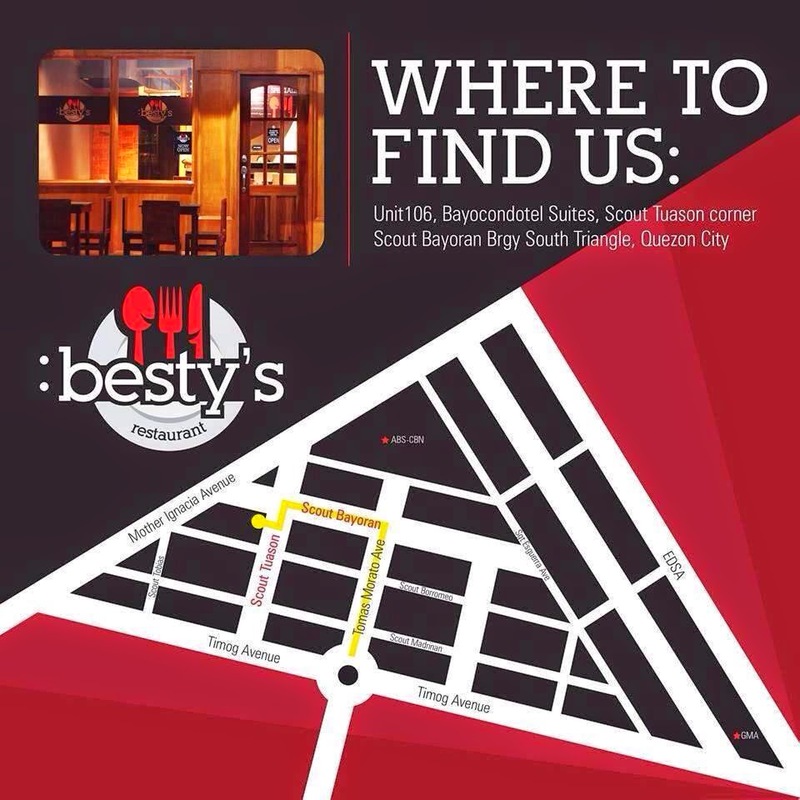 Besty's Restaurant Map - How to Get There? Cheesy Dynamite - explosion of balanced flavor! 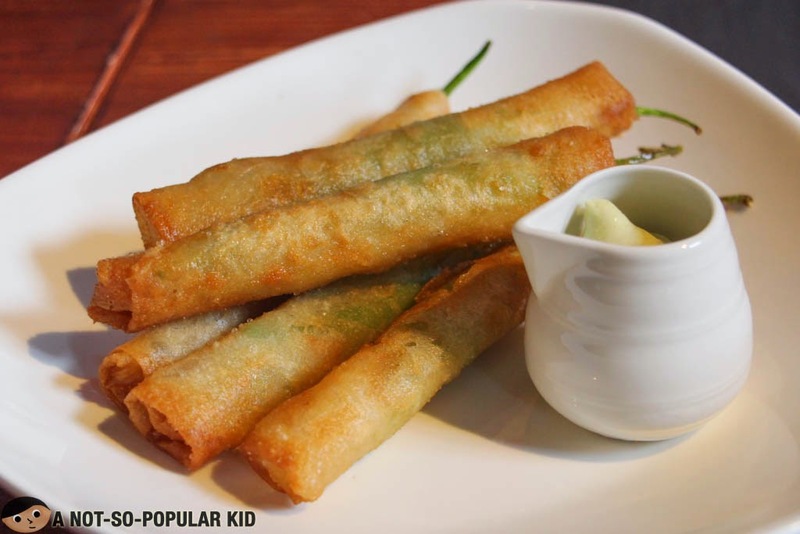 This appetizer of Besty's is the kind of fried finger chilies I heavily enjoy! It was not burning hot spicy, but rather subtle in a ticklish way. Plus, the cheese created balance in the flavors that made us crave for more. On top of that, the onion dip really added more flavor, that made this first dish extra memorable. Good for sharing. 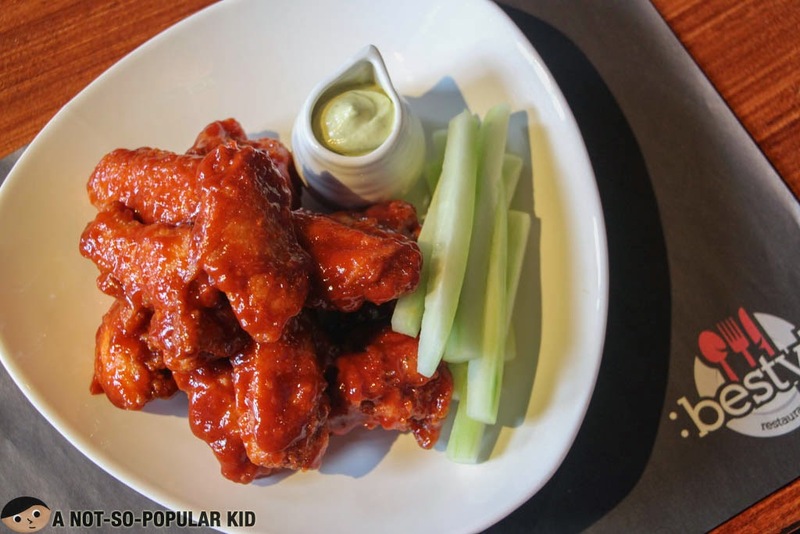 Deep fried wings covered in Besty's BBQ sauce served with cucumber and grean onion dip. These chicken wings were really good with their smokey sweet glaze enhanced by a hint of spiciness, and since the meat easily comes off from the bones, you'll enjoy these fantastic delights without the hassle! This is definitely a must-try here in Bestys! According to the staff here in Besty's, this concoction was specially made using a tested recipe. Unfortunately, I forgot to take a snapshot of this photo, so let me just describe it the way I remembered it. Hmmm, okay, this house blend iced tea of Besty's was something I found interesting because of the blend of mango essence. 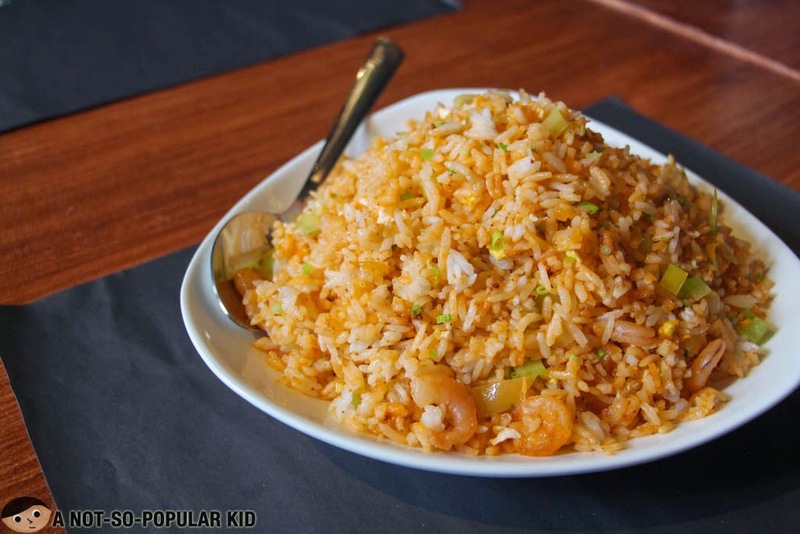 This Aligue Rice was not as flavorful as it seemed to be, but in our case, it became advantageous because the light flavor of the rice just reinforces (and not interferes with) the flavor of other dishes. The first thing we noticed about the ribs was its "fall of the bones" tenderness. The next thing that struck us was the incredibly tasty smokey sweetness of the sauce that really seeped into the fibers of the meat. It was really incredible! 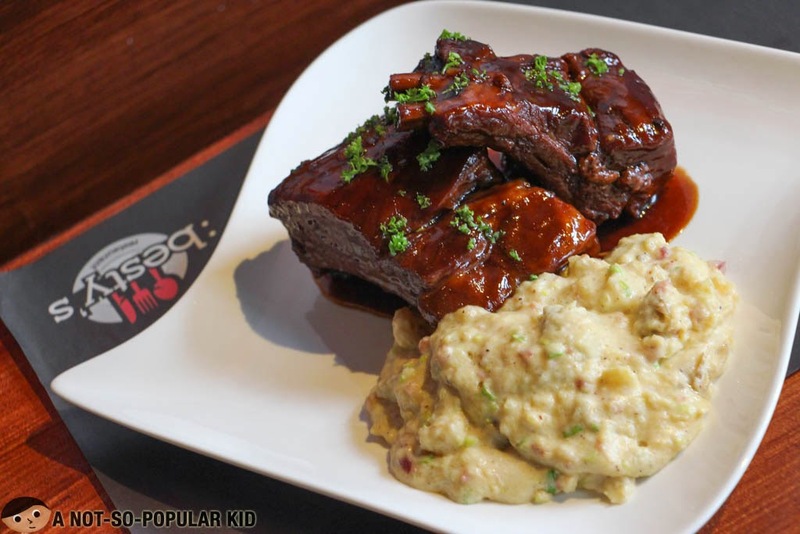 Kirk chose the Roasted Garlic Mashed Potato as the side dish to go along with the ribs, and it was a great choice. I personally loved how excellent the mashed potato was with its cheesy bacon bits, amazing creaminess and light cheesiness. However, what I loved the most was the inclusion of the potato skin. It drove me insane! I was extremely dazzled by the ribs that I almost fail to notice this dish. Anyway, what I can say about this chicken steak is that it reminded me of the home-cooked fried chicken we've grown to appreciate. Honesty compels me to say that it wasn't exquisitely special, but the nostalgic feeling was something you may really appreciate. 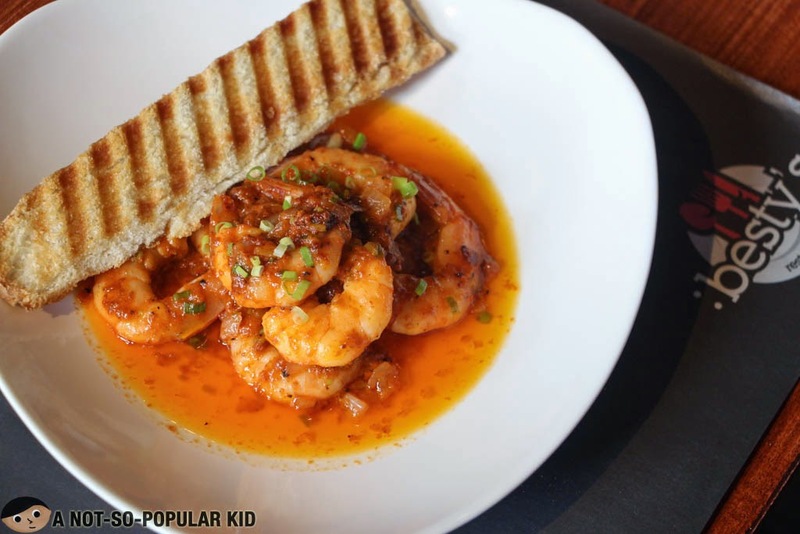 Although I found the sauce of this shrimp dish saltier than what I can normally tolerate, the shrimps themselves were fresh that blended well with the spicy-garlicky sauce. If it wasn't that salty, I would have appreciated this dish more. Presentation-wise, it was commendable! This Chocolate Caramel Cake somehow reminded me of the Y Tu Mama Brownie of Exile on Main St. which is another hole in the wall restaurant near De La Salle University in Taft. However, this one featured a midly sweet blend with a dash of bitterness, while the chocolate sauce and the glazed caramel on top added dimension to the brownie. I wouldn't say that this is the best brownie I've tasted, but definitely I was able to appreciate it. This Choco Banana was ordinarily good, but I liked the brownie better. One technique I made, so I can appreciate the crepe more, was to spread the ice cream on top. 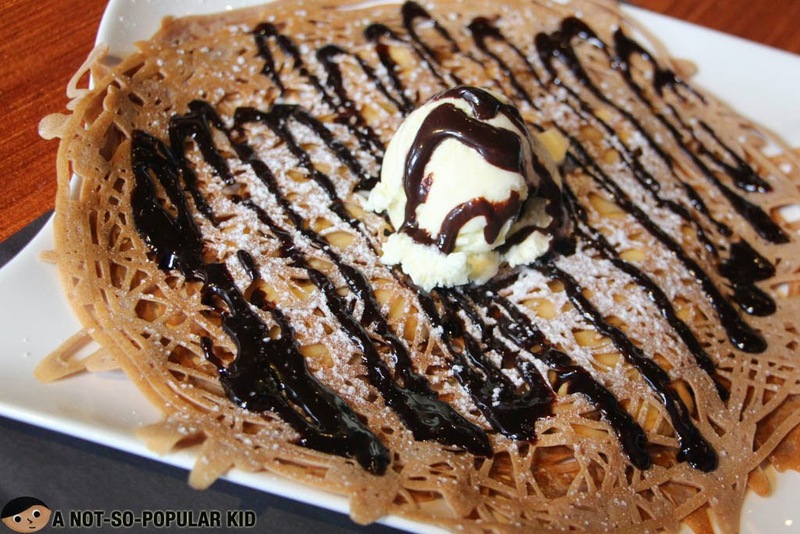 It will even out the sweetness to the entire crepe! 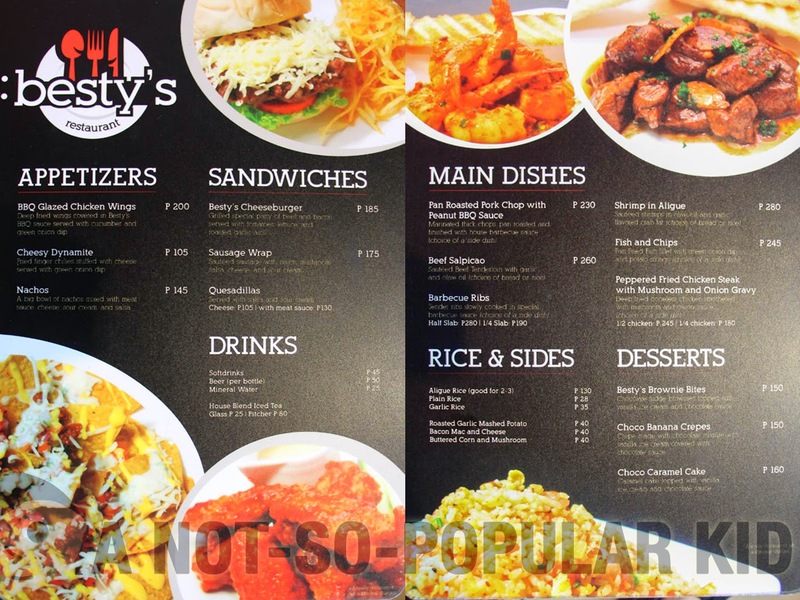 Budget needed: at least P270 per person (coming in a group of 6) for all the dishes listed above, yes all of them! Overall, I would say that I had an awesome dining experience in this restaurant. To tell you the truth, this is one of the restaurants I wish to be more famous! I'm not kidding guys - you will enjoy it here because of the affordability and tastiness of the dishes! If this place happened to be near to where I stay, you will see me there once in a while. 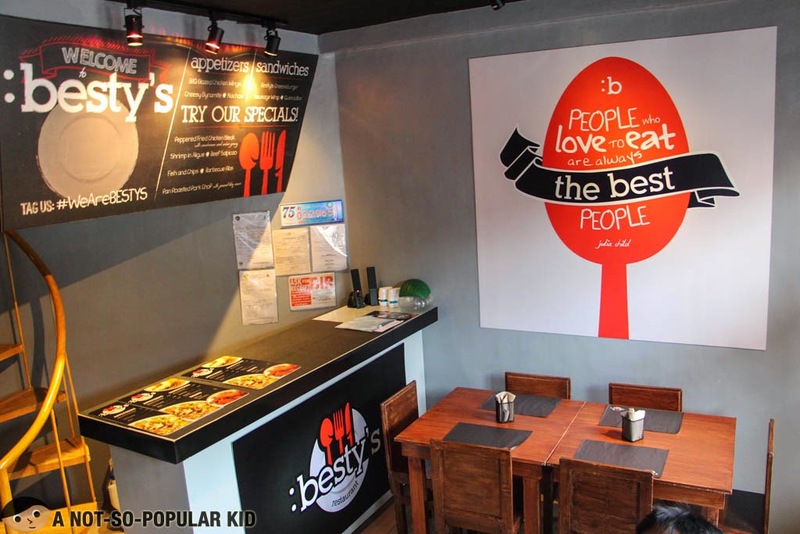 If you want more reviews, you may want to check out the Facebook Page of Besty's Restaurant. 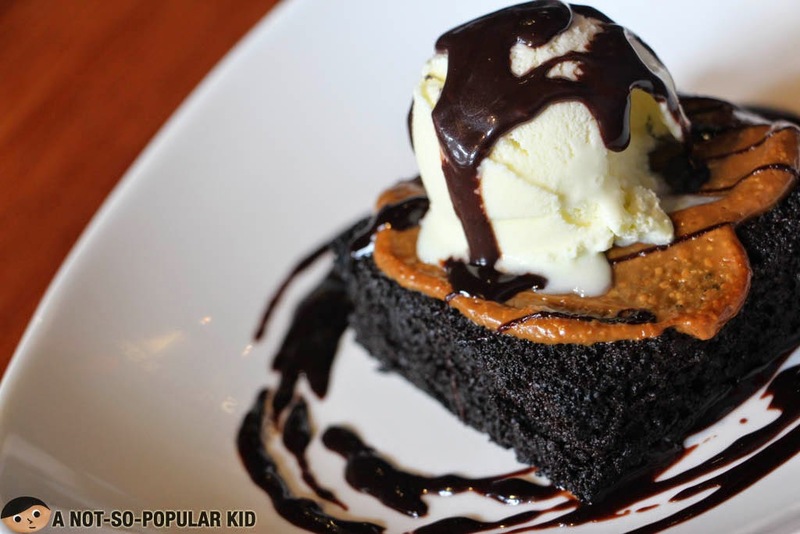 Currently (August 3, 2014), the average rating given by other foodies is 4.7 out of 5. Hi! I tried this one! Yummy and good value for money! Hello Lorrenzo! Thanks for sharing your thoughts on Besty's! I'm glad you liked it there!